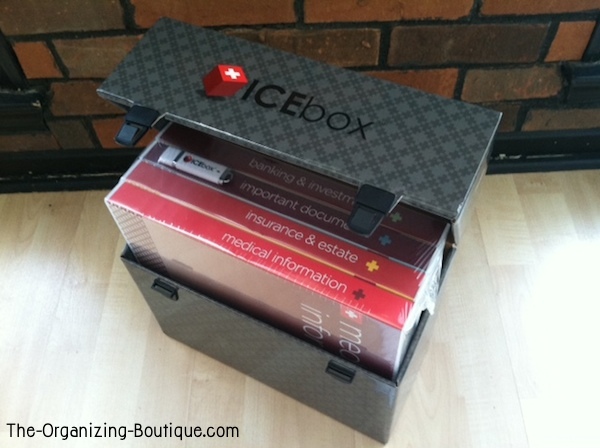 ICEbox sent me their document storage box to review and this thing is really neat. 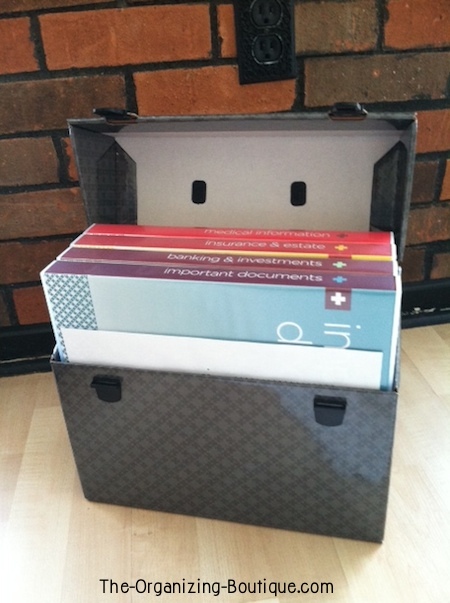 If you're looking for a personal document organizer, then check this out. At first glance, this home filing system seems similar to all the other office storage boxes I've seen that profess to be great for storing important documents, BUT NOT SO FAST. This file tote box is WAY GROOVIER THAN IT LOOKS. Keep reading for what I liked, my constructive criticisms and how to purchase this product. This is what the product looks like off the shelf. Like I said, it looks like a document storage box that you've seen before...but it's not, keep reading. It has a really convenient handle, seems to be sturdy and has a little weight to it. For scale purposes I brought in my assistant, Brisket the Pug. As you can see, the product is smaller than a 15 pound pooch. Good sit! This is what it looks like without the packaging. It's got a nice shiny finish, a convenient handle and 2 buckles that secure the top on. Inside are 4 binders for storing your important documents and a flash drive. Ooh! This is where things start to get interesting and the product stands out. A flash drive is a nice feature that I have not seen included with other document storage products, and it's not just a plain old flash drive! It is a 256MB flash drive that comes loaded with PDF templates that can be filled out with your important information. Now you can take your vital data with you on a trip or you can store the flash drive at work or another location to be a redundant back up. 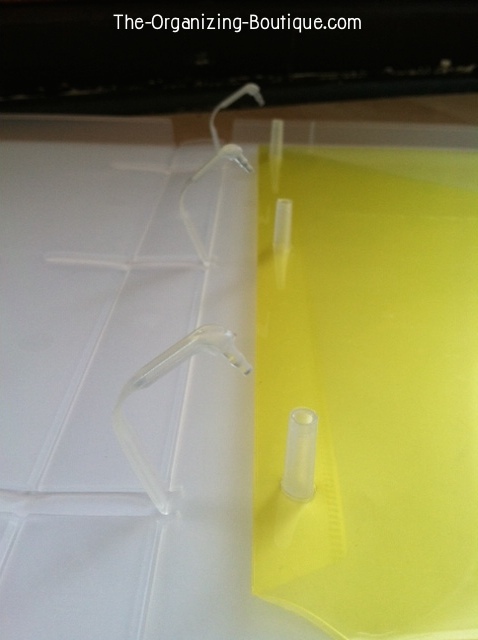 Each plastic binder is totally enclosed to keep the contents from falling out as well as dry and dust-free, AND they are also archival safe. 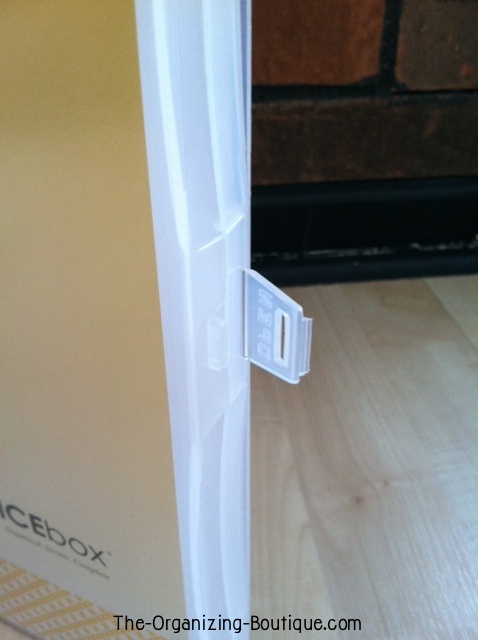 This is what each binder's latch looks like that keeps it closed and protects all the contents inside. When opened, inside the binders are 3 rings...and these aren't ordinary binder rings! They are snap-locking rings that don't have the problems of the usual metal rings like rusting or getting misaligned. I was really impressed by these! I put my important documents in the corresponding binders. I usually keep some cash with these papers, so the totally enclosed binders were a real plus for that. Once I put the binders back into the document storage box, I stuck my Emergency Evacuation List in the front. 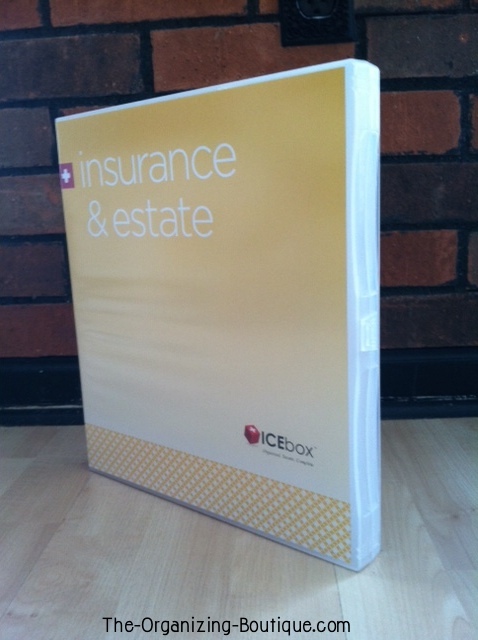 ICEbox also offers an online document management option called the Online Vault that has unlimited storage. With this upgrade, you could access your information securely and from anywhere in the world. 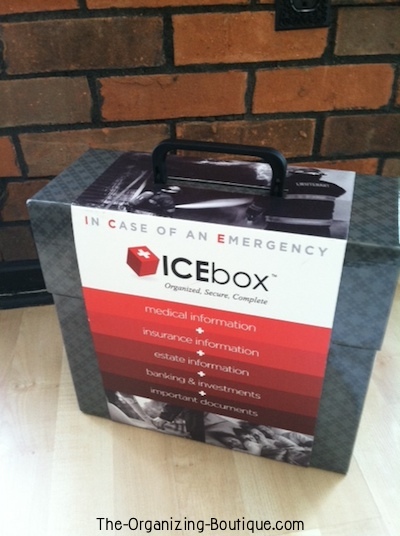 You can also personalize your ICEbox with your logo, you can order additional flash drives and additional binders. Overall, I'm really impressed. 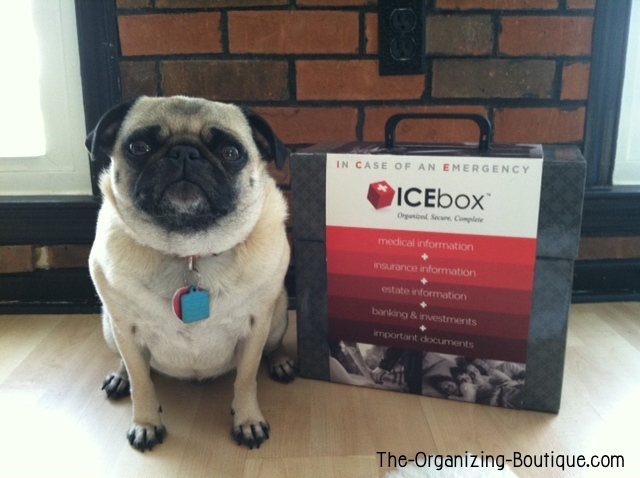 The ICEbox certainly is a complete system for organizing and storing your important documents. 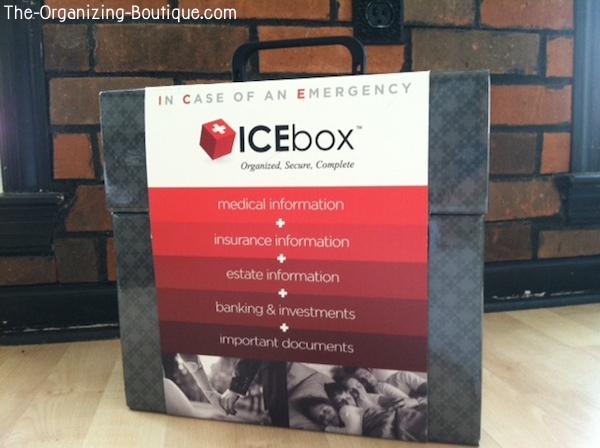 The ICEbox Document Storage Box Rocks! Okay, let's sum up. Here's what I loved and a few constructive criticisms. 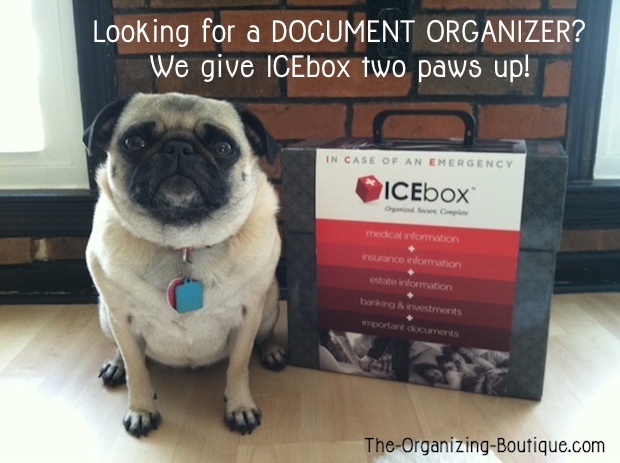 I give the ICEbox two thumbs or paws up! I love that it's complete, organized and secure (which is true to their tagline). I also love that the binders are very unique, and I'm impressed with their very well thought out features. First, the buckles on the front of the product are not the easiest to open. It involves double thumb action that is kind of awkward, but once I did it a few times I got the hang of it. Second, and this is more of a personal request, this product is really cool. I would love it even more if the color/design on the outside reflected that. I get that the neutral appearance is good for businesses, but perhaps a bright-colored modern pattern would get the DIY-ers and stay at home moms pumped up about it? 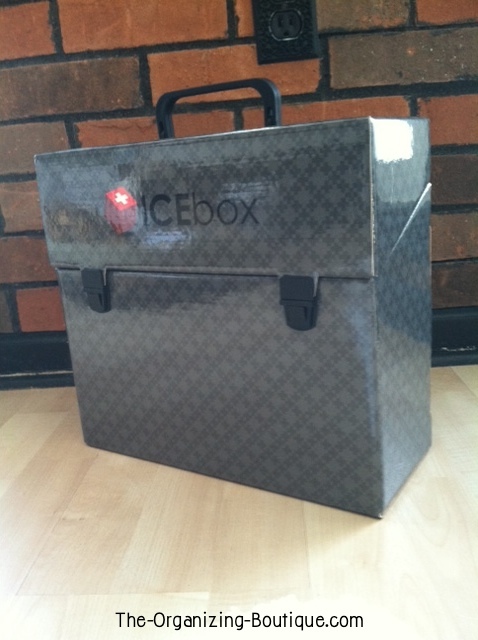 Rock on ICEbox! 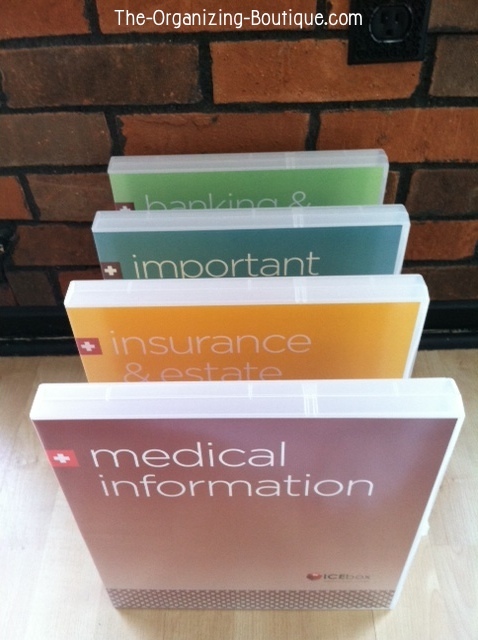 For more details about the document storage box and to purchase their products, check out their website.